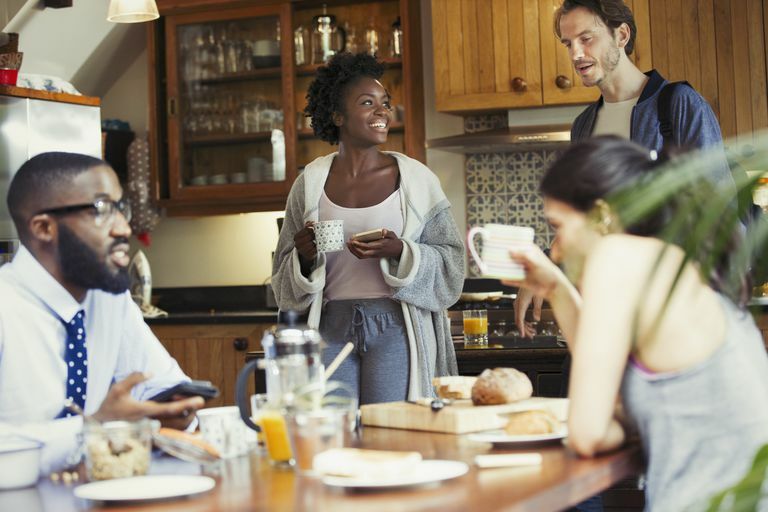 Whether you have a socially anxious houseguest, want to help someone with social awkwardness, or just want to make socially anxious friends feel comfortable, the following list of tips will put you on a path to being an empathetic friend. So, you've got a socially anxious house guest coming to spend the night and you aren't sure how to make him feel comfortable. Here are some tips to get through the evening and get to know your guest a bit better. Provide structure: If a socially anxious person will be visiting your home, help that person to feel at ease by providing some structure for the visit. That might be as simple as telling that person what to call you (for example, "Oh, please call me Mary. Mrs. Jones is my mother. "), or as detailed as explaining any oddities of the house such as how to turn on the shower or where to find towels. The more welcoming and specific you can be with your guest, the less he or she will have to guess—which will allow greater comfort. Be empathetic: Try to put yourself in the shoes of the person with social anxiety. What would make that person feel most at home? Examples might include her favorite foods or offering topics for discussion about areas she is passionate about. Consider trying to find out what you can about the person before she arrives so that you can personalize her visit. Be a good listener: Pay attention, ask questions, and reflect back what you hear when you talk to your guest. Though the person with social anxiety might chat less than your regular houseguest, what she does say has probably been carefully considered. Play games: Take the pressure off of the person with social anxiety by planning some activities during the visit, so that you don't have to carry a conversation the whole time. Consider games that don't involve a lot of pressure and may help the person with social anxiety to open up, such as a light-hearted game of Pictionary or Trivial Pursuit. If your guest chooses not to play, but rather sit on the sidelines—let that be okay too. She may change her mind when the game gets going. No, of course you can't fix someone else' social awkwardness. However, you can certainly offer a helping hand to show that person ways to relate in less anxious ways to others. Below are some tips for you to help the person with social anxiety feel less awkward. Show how to do it: A person who has social anxiety might not have had a lot of experience in social situations, and may not be sure how to navigate them. Help that person by being a good role model. Know how to manage introductions, participate in small talk, and exit a conversation, and your new friend can learn by watching you. Meet new people: Help the socially anxious person practice these new skills by introducing him to your social group and giving him opportunities to practice. Choose friends for him for which there will be mutual interests, to make it easier for the two of them to talk. Challenge the person with social anxiety to practice one social skill, such as offering a tip about how to shake hands when first meeting someone. Offer praise: A person with social anxiety might feel that she isn't good at navigating social situations—so be sure to offer praise. Tell her how everyone loved her story about when the two of you first met or that others were interested in getting to know her better. Often people with social anxiety overestimate negative reactions from others, so try to set the record straight. Be that person who makes everyone feel comfortable, and the person with social anxiety will be especially appreciative. Below are some tips to be that person. Use appropriate body language: Make sure that your body language indicates you are open and friendly, to help the person with social anxiety. Uncross your arms, lean in when you talk, and offer good eye contact. Above all else, offer broad smiles to show that you are welcoming of the other person. Show empathy: When a person with social anxiety shares thoughts or feelings, listen carefully, and then reflect back what you hear with empathetic statements. For example, if a friend says "I am so nervous about my upcoming performance, I don't know how I will manage," you can respond by saying "It sounds like you have a lot on your mind." Offering a statement that shows you are listening and care is all that is needed. Show you are listening: Be careful about your body language when you are listening—it should show that you are giving your full attention. The worst thing you could do to someone with social anxiety is to "half-listen"—to kind of listen while you tap away on your cell phone or keep your eye on the clock. Instead, be attentive and focus on what the other person is saying. Devil is in the details: If you know someone in your group has social anxiety, try to be inclusive when talking. Don't use inside jokes that the person won't understand. Try to include that person in the conversation by talking about things to which he can relate. Be patient: Be careful that you aren't impatient when talking to a person with social anxiety. Don't ask overly personal questions too soon, and don't be loud or obnoxious. Be aware the other person may need to go slow in the first stages of a friendship. Realize also that a person with social anxiety may be a step behind in terms of life hurdles—such as feeling nervous about a first date while all the rest of your friends are married or divorced. Try to be patient and understanding even if it seems like your life trajectories are progressing at different rates. Find the right setting: A person with social anxiety might not feel comfortable talking in a loud or busy environment. If you want the chance to chat, try to steal away to a quieter location where the two of you can talk one-on-one. Find mutual interests: One of the best ways to make someone with social anxiety feel comfortable is to identify mutual interests that you can discuss together. Ask open-ended questions to try to learn more about the other person and what you might have in common. Be randomly friendly: You never know when you might be helping a person with social anxiety. Smile at strangers, offer a bit of small talk and generally be warm in an effort to make those around you feel comfortable. If you happen to cross paths with a socially anxious person, you might just brighten her day. Find the loner: Similarly, in a group situation, make a point to seek out the person who is sitting by herself and doesn't seem to know anyone. Whether that person has social anxiety or not, helping to include her in the group or having a private conversation to get to know her better is an act of good faith and something that friendly people do to make others feel comfortable. Stay in touch: A simple way to make others with social anxiety feel comfortable is to stay in touch. That person might want to talk, make plans, or find out how you are doing but at the same time anxiety may prevent her from picking up the phone or sending an email. Be the first to get in touch and don't be resentful about it. You might be surprised when one day that friend reaches back out to you, because of your friendly nature. National Center for Learning Disabilities: Tips for Helping Your Child Build Social Skills. Oprah.com. Martha Beck: How to Make Your Guests Feel at Home. Psychology Today: Let Their Words Do the Talking. University of Wisconsin-Extension: Helping Others Help Themselves.